This article contains spoilers about key plot points that you will not want to find out if you have not read this book. Or you might want to, but I thought I’d let you know. Recently I wrote about re-reading – why we do or do not choose to re-read certain books, and what we can get out of revisiting the people and stories that first made us keep on reading. I’ve barely re-read anything in my life, so I decided to make a ‘To Re-Read List’ and reacquaint myself with past loves. First up is How to Be a Good Wife. It was published in January 2013, and I read it in October 2012, so a little while ago now. Long enough that although I remember the plot and why I liked it, I’ve forgotten the intricacies and the story and the depth of the writing. Because this does happen, I find – no matter how much we love a book and might remember certain scenes that ‘got’ us, we inevitably forget a lot of it too. I don’t think this is a bad thing, as it is the absolutely perfect reason for choosing to re-read a book, aside from having loved it. I look forward to revisiting things I’ve forgotten, but that I know I loved. 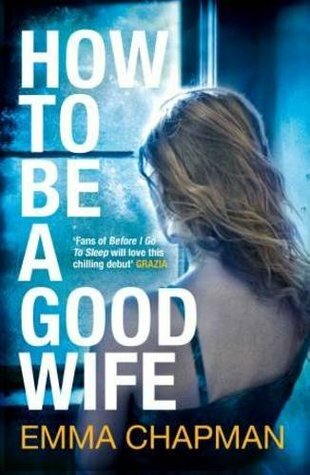 How to Be a Good Wife is narrated by Marta, a forty-something housewife living with her husband Hector in a small and isolated, but unnamed, Scandinavian town. She is bored and lonely now that her beloved son Kylan has flown the nest, and she lives each day under the tyranny of her watch. Marta is obsessed with what time it is and when she should do things, and this jumped out at me even more the second time around. Given that I know the ‘twist’ in the story and the ‘truth’ that is later unveiled, this obsession and all her other tics were even more foreboding and unsettling than they were the first time I read the book. When you read something like this for the first time, part of the joy comes from discovering the twist, and I imagine this could ruin a second visit. But luckily there is still enough in this story for that not to be the case. I remember sitting there, after reading it for the first time, going over and over the ins and outs of what Hector did and the story as a whole. It is a little complicated, a little mysterious, and a whole lot unsettling. It is the kind of thing that sticks in your mind, and even though I’ve read the book before it did not fail to unnerve me once again. 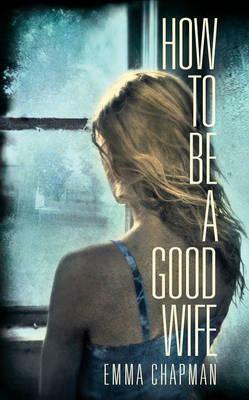 The simple fact of reading How to Be a Good Wife was just as enjoyable and engaging as it was the first time. I noticed things that had perhaps become a little lost the first time. Not plot details, but the subtlety of Chapman’s writing and the very intense atmosphere of the book. I had forgotten just how claustrophobic the story is and how unnerving Marta’s life seems to be. Hector is very serious, controlling, and Marta is terrified of doing something wrong. Marta constantly quotes maxims from a book given to her as a wedding present by Hector’s mother (who is also a very controlling, overbearing presence) – a twentieth century guide called ‘How to Be a Good Wife’ that instructs wives to be seen and not heard, to give their husband authority on every matter and even that his topics of conversation are ‘more important’. I’m not actually sure whether this was a real book, but a quick google produces some very similar material (aside from the joke-y gift ones) such as this and this. The ideas are pure Stepford and the woman is reduced to nothing more than a ‘wife’, a sort of service person for her husband. She is expected to be perfect, subservient, and to value her husband above herself – in fact these guides and this way of thinking designates that the wife’e value only exists in relation to how well she fulfills her ‘role’. Depressing, right? But re-reading also made me think about Chapman’s implications in including this book of Marta’s – it is one of the ways that Hector controls her, but I think it also dictates how he genuinely thinks a wife should be. He definitely doesn’t have a ‘normal’ modern view of a marriage as an equal partnership. The atmosphere in Marta and Hector’s house constantly feels as if they have just had an argument – but they never argue. Every move and every word is filled with tension and they never seem to relax. It feels strange to read that the sleeping Hector hugs Marta to him. She in turn doesn’t seem to get any pleasure from this; she cannot sleep and creeps out of the room. Though How to Be a Good Wife is only short, I found it easier to read it in short bursts, as sometimes the atmosphere was just so cloying and tense that I needed a little break – I needed to remember that I was not Marta. For Marta is a victim of emotional cruelty, and this is something that I think we have all encountered but very few of us have to live with day in and day out. I found reading this book for the second time a much more emotional experience than previously. Knowing the facts and knowing how it turns out meant that I did not feel the hopefulness, for Marta, that I did the first time. I thought a lot about her experiences in ‘the room’ and how she must feel as her memory starts to come back. I thought a lot about Hector as a man, as a person. We only see him from Marta’s point of view, but once we know what he did, how he made Marta belong to him, we see him differently. I thought about the cases we hear about on the news of women kept inside houses for years and years (such as the Ariel Castro case, or Natascha Kampusch) and molded to be part of someone else’s identity. It is horrifying, morbid, desperately sad and very destructive. How to Be a Good Wife is fictional, but it rings eerily true, and this makes it even more compelling, but also more disturbing. It is enjoyable in one sense, in that it is beautifully crafted, but it is also not enjoyable given its nature. But it is a ‘good book’, one that deserves reading and examination. I’m glad I re-read it, and was able to re-examine it. I know that Chapman’s next novel is about an entirely different subject, but I look forward to it greatly. Published in January 2013 by Picador (UK). You can read my original review here. Buy online from The Great British Bookshop.